Home » Current Shows » Music Shows » Archive for category "Her Turn"
Showcasing all-female and female fronted band and musicians. It was a long time coming, but Erin Bond finally was able to choose her Top 10 favourite releases from 2018. Take a look and check out the links to the music. This week on Her Turn we explore much music ranging from folk/roots, pop, and grungy rock. This week on Her Turn we check out new music from Shaela Miller, Kandle, Basement Revolver, and more! Plus revisit favourites from Milk & Bone and Baby Cages. 100% CANCON this week! This week on Her Turn we check out all-new music from Metric, Lala Lala, Belle Plaine, Yumi Zouma, Ladytron, and more! This week on Her Turn we check out tracks from Bonnie Doon, Dorothea Paas, Dentist, The Balconies, Beth Ditto, and more! 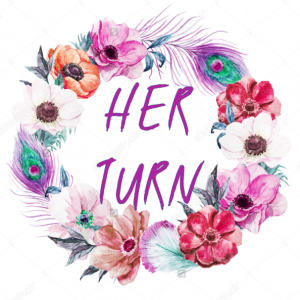 This week on Her Turn we check out a lot of new music from FemCon artists from across the world! Including The Beths, SC Mira, Dentist + more! This week on Her Turn we check out new music from Speedy Ortiz, The Beths, Ellevator, and more! Plus we check out tracks from 2 #ECMA2018 winners. This week on Her Turn we hear all brand-new music from all-female and female fronted bands, including Towanda, Peach Kelli Pop, To The Trees, and The Lifers!